As a plumbing specialist, E.Z. Roth Plumbing is consciously aware that already remarkably high utility costs are constantly on the rise; therefore, in addition to our regular services, E.Z. 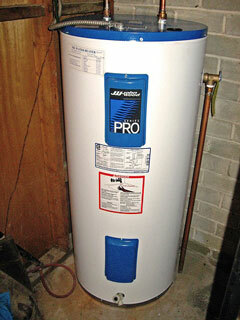 Roth Plumbing has innovative ideas, designs and solutions to reduce your water utility bill. Lowering your water usage helps our environment and saves you money, which is essential during today’s hard economic times. E.Z. Roth Plumbing will help you save money off your Sewer Service Charge (SSC) portion of your Department of Water and Power (DWP) utility bill. A DWP utility bill includes charges for water and sewer usage. The current rate is $3.27 per HCF (1 HCF = 748 gallons). Currently, your sewer charges are calculated based on the water that flows through a water meter, located at the beginning of a property’s water piping system. As a result, currently, your sewer charges include water that may never end up in the sewer. You can avoid these extra charges by having E.Z. Roth Plumbing install a LADWP approved sub-meter; that way the actual water that goes into your house and down the sewer drain will be metered differently and read separately from the water that is used elsewhere on your property and does not go down your sewer line, i.e. water for your garden, pool, landscape irrigation, etc. After we install a new sub-meter, the DWP will begin reading your private water sub-meter and bill you under the new system. You will receive your first DWP bill with Sewer Service Charge (SSC) on it based upon the private sub-meter readings after you have accrued one complete cycle (approximately 60 days) of private water sub-meter read data. Interested in learning more? Click here to read about the benefits of installing a sub-meter.